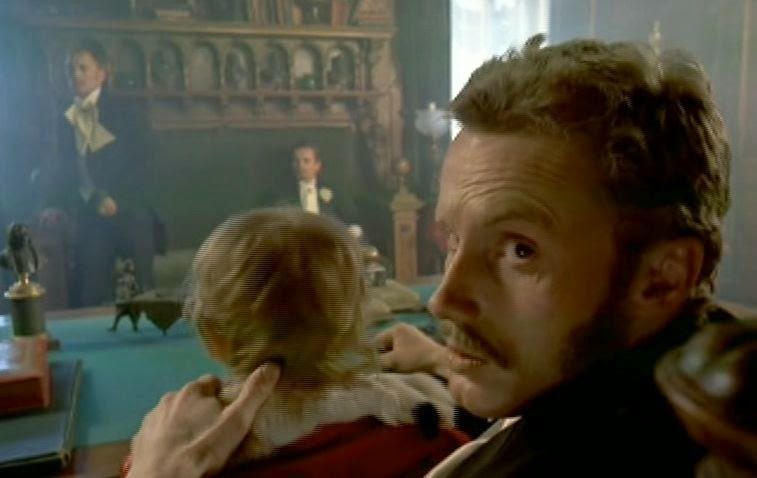 The Promised Land (Ziemia Obiecana, 1975) is Andrzej Wajda’s epic film about rampant industrialization in the Polish city of Lodz at the end of the 19th century. The story is Wajda’s adaptation of the famous novel of the same name by Stanislaw Wladyslaw Reyment, who won Nobel Prize for Literature in 1924. It concerns the experiences of three young men who bond together in order to fulfil their dreams of becoming rich in the burgeoning Polish textile industry in Lodz at that time. The film has an eerie, expressionistic quality that goes beyond the specific plot elements and is difficult to describe; but it is this moody aspect that makes the film truly memorable. Karol Borowiecki (played by Daniel Olbrychski) is an ambitious and aristocratic young Pole whose family wealth has declined but whose social standing remains high. Moryc (Moritz) Welt (played by Wojciech Pszoniak) is a young Jewish financial wheeler-dealer with social connections to the Jewish financial sector. Maks (Max) Baum (played by Andrzej Seweryn) is the son of a German textile mill owner whose inclusive attitude toward his workers in this ruthless era has spelled his family’s economic decline. Like many young men, all three of these guys are on the make, and are eager to make their fortunes and become fabulously successful. But there personal qualities differ somewhat. Karol is polished and mild-mannered, but utterly selfish. Moryc is ebullient and good-natured, but he is seduced by the opportunities and excitement of market transactions that can make a person rich very quickly. Maks is also narcissistic, but more human and more interested in having a good time than in accumulating power. Because Karol is the floor manager of an existing Lodz textile mill (owned by the callously brutal German businessman, Bucholz), the united goal of the three comrades is to acquire enough funds to build a factory of their own that can then be managed by Karol. So much of the action centers around Karol’s activities. Although the Karol character strikes me as particularly repellent, there are three women in the story who are enamored of the young man and want to marry him. Anka (Anna Nehrebecka), Karol’s fiancé, is a beautiful, compassionate, and loving woman whose devotion to Karol prevents her from responding to Maks’s romantic intentions. Lucy Zucker (Kalina Jedrusik) is the voluptuous wife of a Jewish financier. Although she genuinely loves Karol, her social situation rules out any long-term possibilities from the perspective of the self-centered Karol. Mada Müller (Bozena Dykiel) is the gawky and graceless daughter of a crude but fabulously wealthy German businessman. To the viewer it is obvious that Karol should be faithful to the charming and almost angelic Anka, but Karol’s appetites direct him elsewhere. As the story unwinds, we follow the three young men in their quest for enough money to build their factory. Karol’s affair with Lucy Zucker accidentally leads to the discovery of a vital secret: the government intends to increase the import tariff for cotton in the coming weeks. Karol passes this news on to Moryc, who makes a killing in the commodities market; and, together with some additional financial finagling by Moryc, they manage to scrape together the money needed to build their factory. 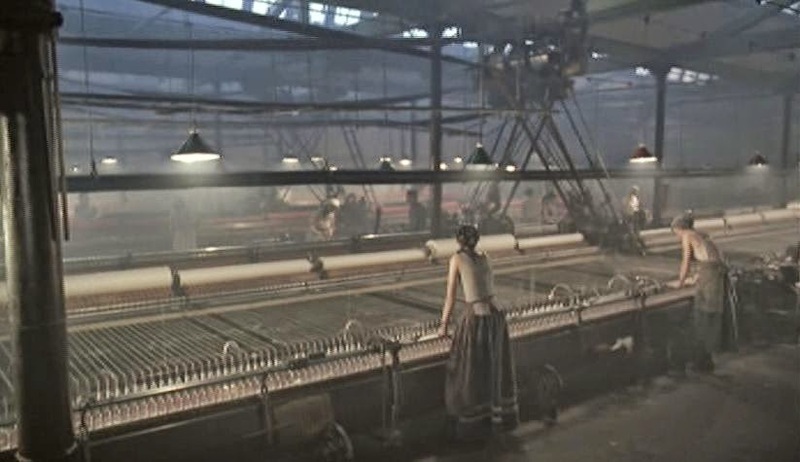 On the day of the factory’s opening, however, Lucy Zucker’s jealous husband confronts Karol about their affair and whether he is responsible for her current pregnant condition. Although Karol deceitfully swears his innocence before a sacred Catholic relic, this buys him only temporary reprieve from revenge. Eventually Zucker learns the truth about their affair and has Karol’s uninsured factory burned to the ground. So the three young investors end up where they started: virtually penniless. Almost as a coda to the film, the scene now shifts forward some four or five years. Karol has married Mada Müller for her money and is now a wealthy factory owner as he had dreamed. Moryc and Maks seem to be working for him as assistants. Faced with a massive labor strike, Karol tells his compatriots in the final shot of the film that he has no choice but to have his armed guards open fire on the assembled protestors. Now one could take this whole story of unrelenting greed as just a lengthy tirade against the evils of capitalism, and many have done so. Karol, Maks, and Moryc are all self-indulgent power-seekers who believe money is the answer to their dreams, while the working class is shown to be struggling under insufferable working and living conditions. But to me the film has a power that elevates it above such a straightforward political message. 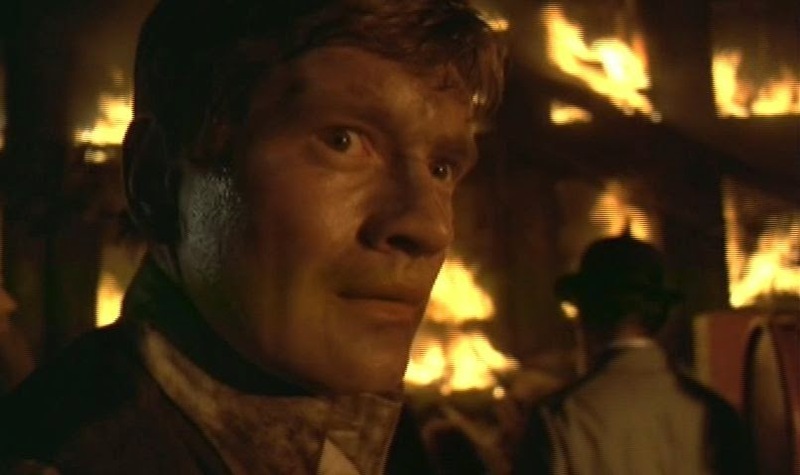 Wajda’s cinematography gives this story a nightmarish quality that goes well beyond the structural elements of the plot . 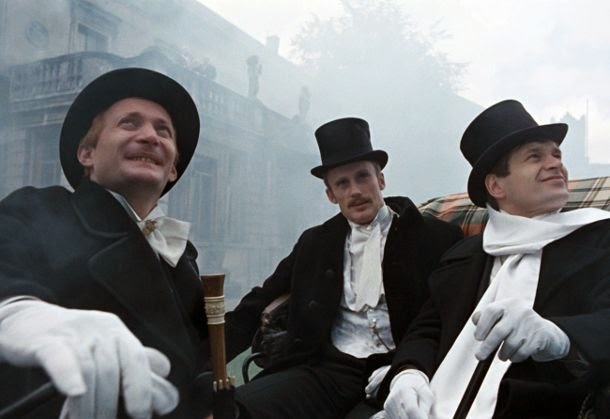 The incessant use of wide-angle lens shots, often with low-angle camera perspectives, gives the entire depicted world a garish aspect that conspicuously conflicts with the optimistic attitudes of the three young men. In the first shots we see the crippled and hateful Bucholz (Andrzej Szalawski) reciting the Lord’s Prayer in his opulent mansion, while scrawny and filthy workers outside are struggling to survive. Indeed, what is shown has the feeling of a ghoulish world from a carnival house of horrors. From the very beginning we are shown ominous scenes of workers struggling in dreadful factory environments, while the rich are contrastingly shown wallowing in useless displays of wasteful splendor. The poor workers look sickly, and their work conditions are ghastly and unsafe, leading to horrific workplace injuries and deaths. This supplies the background mood to the main story about Karol, Moryc, and Maks. Paradoxically, though, this main story line is something of a weakness of the film. The effectiveness of the film comes from other quarters. One problem is that Daniel Olbrychski’s portrayal of the Karol character is flat, and I found it difficult to get a feeling for his character or to empathize with his thinking. On the other hand, although Wojciech Pszoniak’s portrayal of Moryc has been criticized as a cartoonish representation of Jewish ethnicity in such a serious setting, I thought that his performance was rather effective and supplied a needed energy to help fill the deficit due to the Karol character. In fact the lurid depiction of this dark world is best conveyed not by the main narrative of Karol-Moryc-Maks, but by the various subplots. There is the story of Bucholz and his cruel delight in the sufferings of his workers. A wealthy textile mill owner, Kessler, coercively takes an innocent young factory girl as his concubine, to the ruination of her family. Another businessman seeks to borrow money to pay his debts from the unfeeling Karol, who dismisses the request. Afterwards the indebted man goes off on his carriage and shoots himself in the head rather than face the humiliation before him. 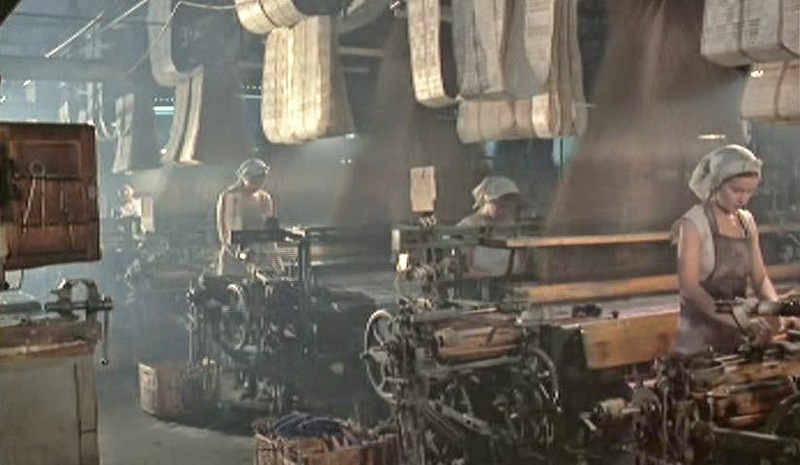 There is also Horn, an office worker in Karol’s factory, who rebels against the unfeeling attitude of the new industrial scene and heatedly tells off the unfeeling Bucholz as he resigns from his position. All of these subplots are only partially depicted, without the usual background coverage to give the viewer a context. The resulting effect is to give the entire film an overall feeling like one is viewing broken shards of glass that have been taken from a larger portrait. One could attribute this sense of fragmentation to the re-edited version of the film that I saw, lasting 138 minutes, that was made in 2000 under Wajda’s supervision. This is some forty minutes shorter than the original 1975 release. Moreover, the original release also included a four-hour television version with additional scenes – one would assume that the TV version must have been over 200 minutes. Would these longer versions give the viewer a better view? I cannot say, because I have not seen them, but I suspect that those versions would have devoted the additional screen time to the Karol-Moryc-Maks aspects of the story, which I find less interesting than the atmospheric subplots. As it stands the fragmented 138-minute version of the film that I saw has the dream-like expressionistic flavor that I appreciate. And lest anyone think that The Promised Land is only a pro-communist tract, or perhaps just a period piece about conditions in late 19th century Poland, it might be more useful to view this film with another context in mind – the extractive industrial setting of modern-day China, with its Party-connected Princelings ruthlessly exploiting an unprotected labor sector often toiling in unsafe conditions. There was one oafish cinematic moment in the film, however, where the Moryc character (Wojciech Pszoniak) broke the “fourth wall” by grinning straight into the camera. This was a distraction and, in my view, a mistake on Wajda's part to let that stand.